The Gatestone Institute, an “Islamophobic” advocacy group headed by Nina Rosenwald, began as a Hudson satellite office in New York. Hudson scholars write on a variety of purported threats to U.S. security—including a rising China, leftists in Latin America, and border politics. However, the institute devotes much of its work to issues related to the Middle East and Islam, often promoting hawkish policies vis-à-vis Mideast countries like Syria and Iran. In mid-2010, Israeli bloggers uncovered the Hudson Institute’s funding of a right-wing Israeli group that was founded by a settler leader named Israel Harel. According to authors Didi Remez and Shira Beery, writing in the blog Coteret, U.S. tax forms and official Israeli registration documents show that Hudson has been a principal financial backer of the Institute for Zionist Strategies (IZS), providing no less than 50 percent of this group’s budget over several years, amounting to hundreds of thousands of dollars. Didi Remez, in a separate blog entry, highlighted additional connections between Hudson and IZS: “Max Singer, co-founder of the Hudson Institute, its former President and current Senior Fellow, is also the IZS’s Research Director. At least according to his bio on the Hudson website: The IZS site only identifies him as a member of the Advisory Committee. Its 2006 brochure (page 8), however, states that he is a member of the International Board of Governors and is one of the ex-officio members of the Projects Committee, which “as such, are invited to all deliberative sessions and events.” According to the IZS’s verbal report to the Israeli Registrar of Associations for 2008 (the last one filed), Singer’s wife, Suzanne, is one of three members of the NGO’s “Council”, the sovereign decision-making body under Israeli law. Hudson’s current and former scholars and associates include many widely recognized neoconservative figures. Several Hudson associates have supported the work of the Project for the New American Century (PNAC), the advocacy outfit that played an important role in pushing for the invasion of Iraq in the wake of the 9/11 attacks, as well as its various successor groups. The overlap between Hudson and the now-defunct PNAC has included many who signed PNAC’s 1997 “Statement of Principles,” including Elliott Abrams, the pardoned Iran-Contra convict who served as a Mideast adviser to the Bush administration and is a former Hudson scholar; Francis Fukuyama, the erstwhile neoconservative fellow traveler and author of the “end of history” thesis who in recent years has rejected many of the faction’s policy ideas; and trustee emeritus Donald Kagan, a conservative classicist. The Hudson institute also has multiple connections to the Center for Security Policy, a hardline advocacy outfit founded by former Reagan administration defense official Frank Gaffney, through members like Charles Horner, George Keyworth, Richard Perle, and William Schneider. Kenneth R. Weinstein is Hudson’s president and CEO. He joined the institute in 1999 and is a former research fellow. He previously worked at the Heritage Foundation, the New Citizenship Project, the Israel-based Shalem Center (home to the Sheldon Adelson-funded Adelson Institute for Strategic Studies), Claremont McKenna College, and Georgetown University. Herbert London, Hudson’s president emeritus, has been affiliated with the institute for more than three decades, either as a trustee or senior fellow, founding Hudson’s Center for Employment Policy during his tenure. London is also a former Olin Professor of Humanities at New York University. London has sat on the boards of numerous private sector businesses and organizations, including Merrill Lynch Assets Management. He previously served as board member to the Center for Naval Analyses. Walter P. Stern, who has also served a vice president of the Washington Institute for Near East Policy, is the chairman emeritus of Hudson’s Board of Trustees, which has strong ties to the corporate world, including defense industries. Current and former Hudson trustees have include Conrad Black, Donald Kagan, Emmanuel Kampouris, Dan Quayle, Richard Perle, Nina Rosenwald, and Lawrence Kadish. Hudson cofounder Max Singer, who remains a senior fellow, is associated with the Begin-Sadat Center for Strategic Studies, which is part of Bar-Ilan University in Israel. He writes frequently for the Jerusalem Post and other major newspapers, routinely advocating hardline views about Saudi Arabia and supporting Israel’s actions toward the Palestinians. He was also a fervent supporter of Ahmed Chalabi, the discredited former Iraqi exile who has been tied to Iranian figures. Another outspoken Hudson scholar is Irwin Stelzer, who has directed economic policy studies at the institute. Stelzer is the editor of the 2004 volume The Neocon Reader (Grove Press, New York), a compendium of writings from different political figures and authors that describes aspects of neoconservatism. Other notable Hudson scholars past and present have included Carol Adelman (spouse of Ken Adelman), Anne Bayefsky, Robert Bork, Douglas Feith, Laurent Murawiec, Nina Shea, Lee Smith, and Ben Wattenberg. 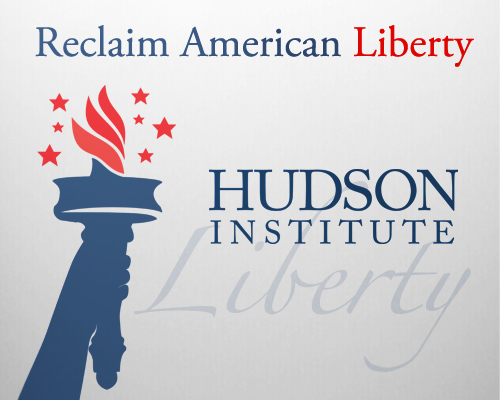 The Hudson Institute received close to $25 million between 1987 and 2003 in foundation, corporate, and government grants, according to Media Transparency and the Capital Research Center. In 2005, the Sarah Scaife Foundation gave Hudson $150,000 for projects, and the Shelby Cullom Davis Foundation gave $75,000 “toward general support for the U.S., China, Russia, and Iran Diplomacy and Security project, and the work of Russian scholar and writer Dr. Andrei Piontkowski,” according to Media Transparency. In 2004, the Lynde and Harry Bradley Foundation gave Hudson hundreds of thousands for various projects. Other top Hudson funders have included Olin, Smith Richardson, Pew, the Donner Foundation, and the Department of Justice. In its annual report for 2012, Hudson reported that some 56 percent of its revenues came from foundations, 10 percent from individuals, 12 percent from corporations, 8 percent from government grants, and less than 1 percent from investments. In 2013, Hudson reported nearly $13.3 million in revenues, over $1 million of which went to Weinstein, Smyth, Libby, and COO John Walters. Hudson Institute, “Mission Statement,” http://www.hudson.org/learn/index.cfm?fuseaction=mission_statement. Hudson Institute (various pages), www.hudson.org. Evan Wilt, “Tom Cotton Bashes Obama’s Foreign Policy, Seeks Stronger Military,” The Daily Caller, March 18, 2015, http://dailycaller.com/2015/03/18/tom-cotton-bashes-obamas-foreign-policy-seeks-stronger-military/. Ron Radosh, “Is Obama Striking an Alliance with Iran?” PJ Media, September 26, 2014, http://pjmedia.com/ronradosh/2014/09/26/us-and-iran-coming-alliance/. Hudson Institute Center on Islam, Democracy, and the Future of the Muslim World, “About,” http://www.currenttrends.org/about/ . Lewis Libby and Hillel Fradkin, “Syria Foreshadows Future Crisis with Iran,” Real Clear World, September 6, 2012,http://www.realclearworld.com/articles/2012/09/06/syria_foreshadows_future_iran_crisis_100220-2.html. Ronald Radosh, “Is Obama Striking an Alliance with Iran?” Hudson Institute, September 26, 2014, http://www.hudson.org/research/10720-is-obama-striking-an-alliance-with-iran-. Lee Smith, “Ditching Israel, Embracing Iran,” The Weekly Standard, November 10, 2014, http://www.weeklystandard.com/articles/ditching-israel-embracing-iran_817766.html. Meyrav Wurmser, “A Security Linchpin,” New York Times “Room for Debate” blog, March 8, 2012,http://www.nytimes.com/roomfordebate/2012/03/08/should-israel-accept-a-nuclear-ban/a-linchpin-of-security-cannot-be-surrendered. Norman Podhoretz, The Case for Bombing Iran,” Commentary, June 2007. Didi Remez with Shira Beery, “Hudson Inst primary financial backer of NGO behind campaign to purge Israeli universities of “leftists,” Coderet, August 19, 2010, http://coteret.com/2010/08/19/hudson-inst-primary-financial-backer-of-ngo-behind-campaign-to-purge-israeli-universities-of-leftists/. Tikun Olam, “HOUSTON JEWISH FEDERATION, JEWISH AGENCY FUND IM TIRZU’S ASSAULT ON ISRAELI UNIVERSITIES,” Tikun Olam, August 17, 2010, http://www.richardsilverstein.com/tikun_olam/2010/08/17/im-tirzu-calls-for-academic-funding-boycott-of-anti-zionist-ben-gurion-university-receives-100000-from-john-hagee-via-jewish-agency/. Or Kashti, “Right-wing groups join forces to fight ‘anti-Zionist bias’ in Israeli academia,” Haaretz, August 19, 2010,http://www.haaretz.com/print-edition/news/right-wing-groups-join-forces-to-fight-anti-zionist-bias-in-israeli-academia-1.308875. Didi Remez, “Hudson’s co-founder, the Israeli academic purge and the subversion of US Middle East policy,” Coteret, August 22, 2010,http://coteret.com/2010/08/22/hudsons-co-founder-the-israeli-academic-purge-and-the-subversion-of-us-middle-east-policy/. Hudson Institute, “Lewis Libby,” http://www.hudson.org/learn/index.cfm?fuseaction=staff_bio&eid=LewisLibby. Max Singer, “The Crucial Controversy over Ahmed Chalabi,” Jerusalem Post, June 18, 2002. Hillel Fradkin, “America in Islam,” Public Interest, Spring 2004. Louis Menand, “Fat Man: Herman Kahn and the Nuclear Age,” New Yorker, June 27, 2005. Capital Research Center, Hudson Institute. Media Transparency, Recipient Grants: Hudson Institute, http://www.mediatransparency.org/recipientgrants.php?recipientID=160. Hudson Institute, 2012 Annual Report, < a href=”http://www.hudson.org/content/researchattachments/attachment/1108/annualreport2012–web.pdf”>http://www.hudson.org/content/researchattachments/attachment/1108/annualreport2012–web.pdf. Hudson Institiute 2013 990, Guidestar.org, http://www.guidestar.org/FinDocuments/2013/131/945/2013-131945157-0a7b28c8-9.pdf. An independent research organization promoting new ideas for the advancement of global security, prosperity and freedom. Founded in 1961 by strategist Herman Kahn, Hudson Institute challenges conventional thinking and helps manage strategic transitions to the future through interdisciplinary studies in defense, international relations, economics, health care, technology, culture, and law. Hudson seeks to guide public policy makers and global leaders in government and business through a vigorous program of publications, conferences, policy briefings, and recommendations. Hudson Institute is a 501(c)(3) organization financed by tax deductible contributions from private individuals, corporations, foundations, and by government grants.